Each archival panel is sized to seal the rigid MDF Engineered Wood, which is the highest quality and most stable composite material available. 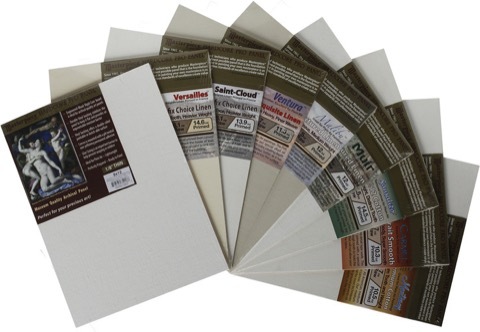 The canvas or linen is mounted using pH-balanced PVA glue, and then beautifully and finished with a vinyl backing, creating a double-sided impervious moisture barrier to keep the board flat. Each hand-made panel is personally inspected to ensure that your panel is of the highest quality possible, and backed by a money-back quality guarantee.